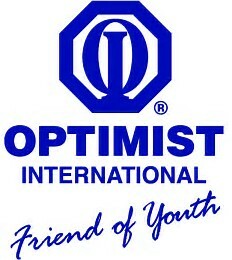 You have reached the homepage of the Optimist Club of Topeka, Kansas. Our club recently celebrated over 42 years of operation becoming chartered in May 1966. We meet every Thursday (excluding holidays) at noon at Perkins Restaurant located at 17th & Wanamaker, Topeka, Kansas. Please feel free to join us for lunch. The Train has a bunch on its schedule for 2008-2009. Please contact Kieth at 266-4192 or Erich at 286-1966 to sign up to work. We currently have several dates scheduled. Your assistance is really appreciated. Please try to attend a Thursday meeting soon. We would love to see you. Lets recognize and support our local speakers. Please come out and listen to the speakers and enjoy good fellowship. Expect some wonderful speakers from the speaker chairperson. Please plan on attending a weekly meeting soon. Current members please come to a noon meeting to pick up your new membership directory. If you would like to speak to our group on any subject, please contact Bob Keeshan at 785-267-0040. We welcome all speakers, and, as they say, "Yes there is such a thing as a free lunch." Please get in touch with any comments or reactions to this site. Please leave e-mail to the contact address at the beginning of this page.